New Publication by HELI Alum Dr. Devlon Jackson! We’d like to share a recent publication by HELI 2016 alum Devlon Jackson, PhD, MPH. 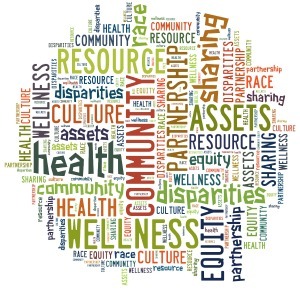 Dr. Jackson is a study coordinator at the Maryland Center for Health Equity at the University of Maryland (M-CHE). Dr. Jackson’s research interests include assessing communication facilitators and barriers (specifically, patient-provider communication, social media, and health information technology) in the medical shared decision making process within and outside of the clinical care setting and determining existing communication inequalities. Co-authors on this paper include Susan Passmore, Craig S. Fryer, HELI 2013 alum Jie Chen, Dushanka V. Kleinman, Alice M. Horowitz, James Butler III, Mary A. Garza, Sandra C. Quinn, and Stephen B. Thomas.